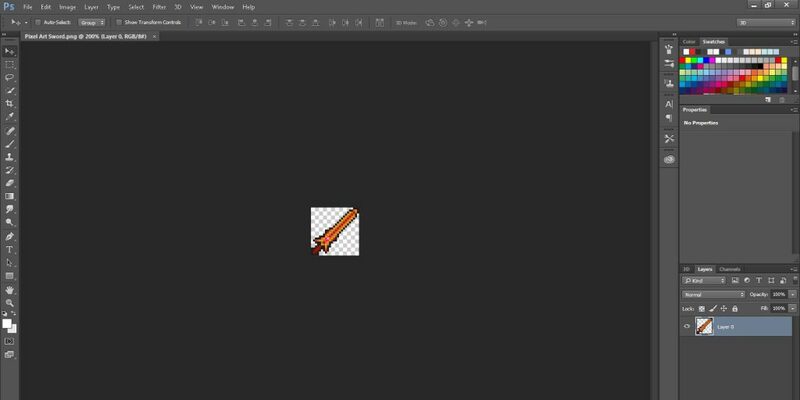 In this easy-to-follow tutorial we’ll show you how you can enlarge pixel art without blurring in Photoshop in four simple steps. Pixel art graphics are often frustratingly small in size and you might find that when you try to scale them up in Photoshop the edges around the image and between pixels ending up looking blurry. 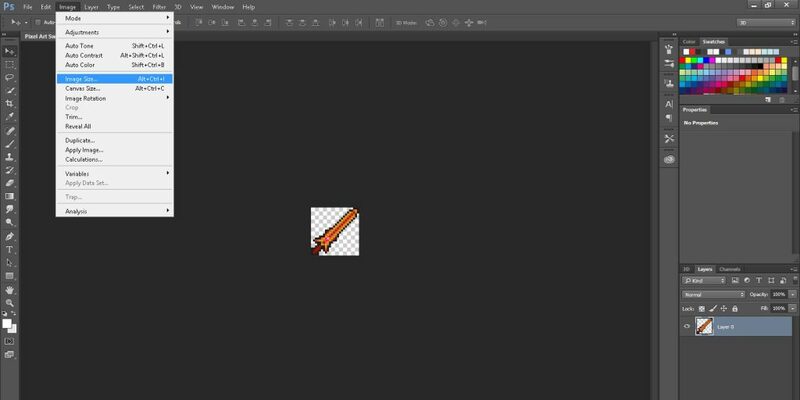 This tutorial will show you how to properly enlarge pixel art without blurring in Photoshop. Launch Photoshop, and open up the image you want to resize. It doesn’t matter how small your image is, this technique will work on even the tiniest of pixel art icons. 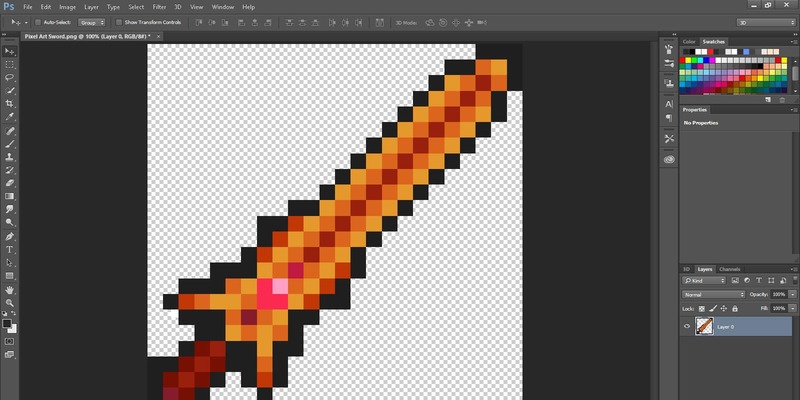 In our example we’ve used a 48px x 48px pixel art sword icon, and we’ll be enlarging it to 750px x 750px. Now, go to Image > Image Size to open the Image Size dialog box. This option is also accessible by pressing Alt + Ctrl + I. Once the Image Size dialog box opens, you can change the width and height of the file. Make sure that Constrain aspect ratio is checked so that your images correct width and height ratios are preserved. This is optional. However, this action is recommended so that the image will be scaled correctly. Click on the drop-down menu at the bottom of the Image Size dialog box and change the option to Nearest Neighbor (hard edges). Once you’ve selected Nearest Neighbor (hard edges) you can click OK in the image size dialog box and your image will be scaled to your specified dimensions. 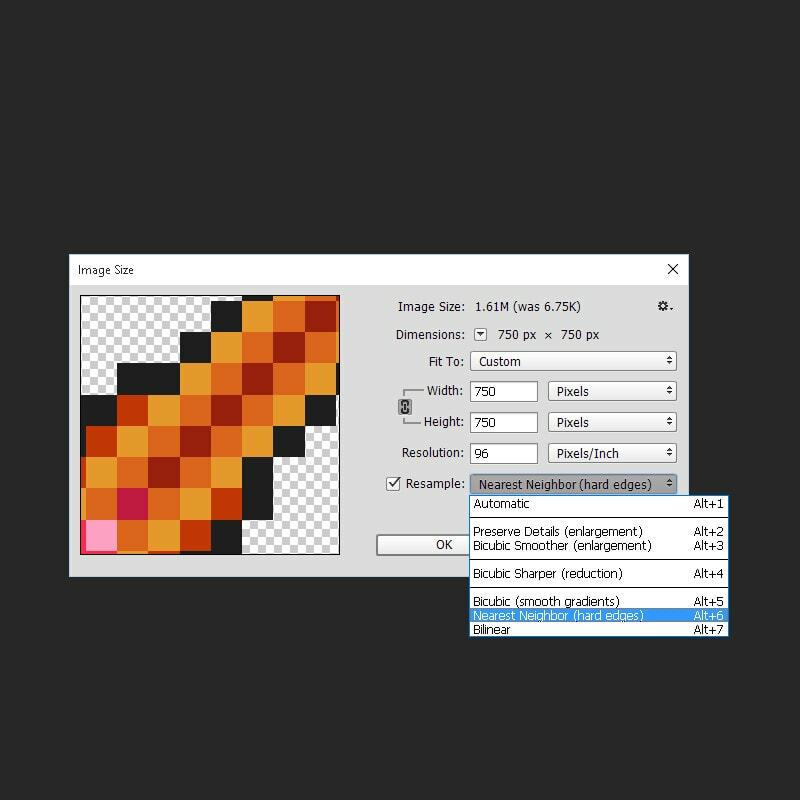 You newly created Pixel image should have crisp edges around each pixel, free of any blurring.